Here is the final outcome of the trial we posted about — the one on the Georgia father and son who left a dying horse and abused others in the Selway-Bitterroot Wilderness. Ravalli County jury finds Georgia men guilty of abusing horses on wilderness trip. Missoulian. Our bighorn are sick and dying. 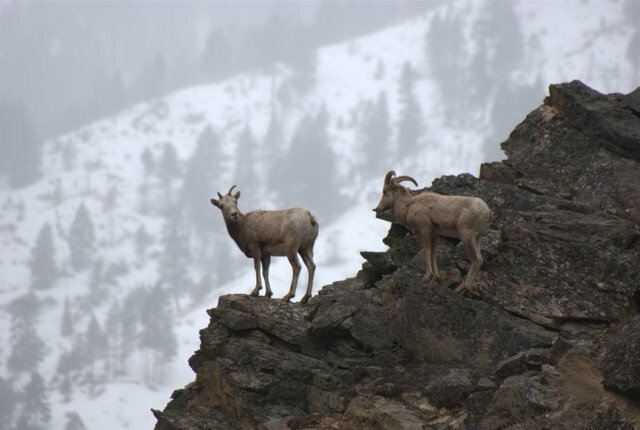 Populations of bighorn sheep are struggling with pneumonia throughout the west. Washington, Nevada, Montana, and most recently Utah are having outbreaks of pneumonia which have resulted in the deaths of 400 or more bighorn sheep. Statements like the following are often made about the outbreaks. But pneumonia does not just appear from nowhere, it has to come from somewhere. Were these diseases already in the herds from earlier exposures and have just become deadly due to winter conditions or have they been introduced to the wild sheep through contact with domestic sheep or goats recently?